In 2010, New York photographer Cat Jordan fights against her difficult past. But when a stranger dies in Paris, Cat finds herself the sole inheritor of an apartment in the ninth arrondissement that has been abandoned for seventy years since its mysterious owner, Madame de Florian, fled on the eve of the German invasion in 1940. A stash of love letters belonging to the owner’s grandmother, the infamous Belle Epoque courtesan Marthe de Florian, and the appearance of the beautiful and mysterious Isabelle de Florian’s grandson, Loic Archer, leads Cat in search of the reasons why Isabelle kept her Paris apartment a secret until her death, and why she left her entire estate to Cat. A magical, enchanting tale, inspired by a fascinating true story, filled with unforgettable characters, each caught in the relentless turmoil of their own generation. 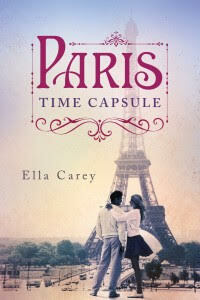 Ella Carey’s The Paris Time Capsule will linger in your thoughts long after you have finished it. This is the type of historical fiction that I love, take an obscure and relatively unknown piece of history and create a wonderful book about it. Finishing Paris Time Capsule had me googling this apartment and learning more about it. Be sure to check out the authors website for pictures. This is the authors debut and I feel she is off to a roaring start. Taking the discovery of that abondoned apartment in Paris and creating this mysterious story behind it shows not just her love of Paris but knowledge as well. There are many layers her, it isn't just a story about the why Cat was left this apartment. It's a story of self discovery, about Cat's journey to find herself and I liked watching the transformation. I won't say too much here about the romance part of this story, this is Paris after all so there has to be some romance. I am not a big romance reader, but with this book it was done in a real and believable way. Ella Carey writes with such clarity, I could smell the dust in that apartment, feel the rank stale air and visualize that moment of awe when Cat first viewed it. As I story unfolded it wasn't hard to visual what was taking place. I think fans of Lucinda Riley and Santa Montefiore would enjoy this one. If there was anything that I struggled with here, it was the cover, it just seemed a little too modern for the story line (remember just my opinion). Originally published in 2014, I loved that cover. What do you think? Ella Carey is a writer and a Francophile who can almost claim Paris as her second home. She has learned French since she was five and has degrees in music, majoring in classical piano, and in arts, majoring in modern European history and nineteenth-century literature. Writing has always been Ella’s real passion, but she has worked in various other guises. 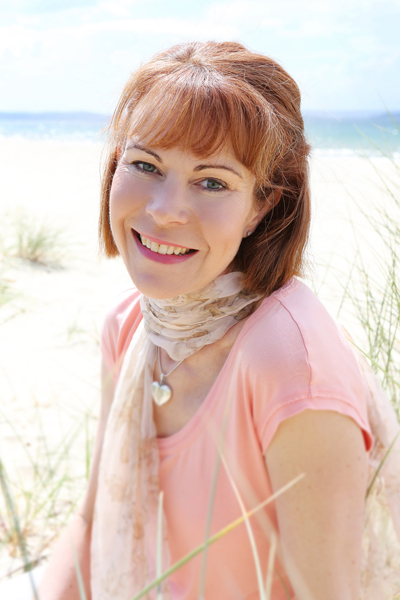 As an emerging author, Ella has had her work published in The Review of Australian Fiction. 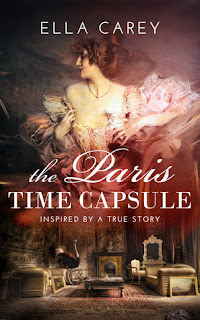 She has traveled to France more than a dozen times and drew on her many experiences there when writing Paris Time Capsule. Ella knew straight away that the fascinating true story of the abandoned apartment was a perfect fit for her, with its blend of history; impossible, decaying romance; and mystery–not to mention Paris. Ella released Paris Time Capsule as an indie book in 2014, and it rose to number 10 on Amazon in the US. This revised and extended edition is now released with Lake Union Publishing. A feature film screenplay version of the book is in development. In her spare time, Ella walks her dogs along the beach, speaks her particular sort of Franglais whenever she can, reads, loves to visit art museums and collects every beautiful book on Paris that she can possibly find. She is hard at work on her second novel, which is also set in Paris. Ella lives with her two children and two noble Italian greyhounds, which are constantly mistaken for whippets.